Last Friday I had the pleasure of *reuniting with many of my very accomplished lacrosse friends for the celebration of the area’s first Minto Cup, in 1961. Several members of that team turned out for the Merit Precision Juniors’ last game of the season, and the events to recognize the 1961 team’s accomplishment. On Saturday a larger group of junior lacrosse alumni got together for golf and dinner. It was an opportunity to catch up with old friends, but more importantly, it was a time to celebrate an astonishing record of success by homegrown Peterborough players at the very highest levels of the game. Since the 1961 Minto Cup win, Peterborough Juniors have won the Cup 12 times—the most of any other lacrosse community in the country. Along with the 13 Mann Cups won by the Seniors’ (the first being in 1951), and a national championship in a short-lived semi-professional league in 1969, Peterborough has 26 national lacrosse championships in 60 years. More astonishingly, the vast majority of the players on these 26 teams are Peterborough born-and-raised. However, it is not the fact that we are all from Peterborough that has bound us together so strongly over the years; it is the winning tradition that has. Even the youngest of the alumni attending the weekend’s homecoming events could recite the accomplishments of the oldest players there. It is in the mutual and often unspoken respect for success at the highest levels in the game that is the greatest reward that comes from being involved in lacrosse in Peterborough. It is one thing to win a national championship in any sport in a big-city arena filled with adoring fans; it is quite another to win a national championship at home, alongside your life-long peers and in front of a crowd of people who you have a personal connection with in one form or another. Like the storied professional franchises in hockey and baseball—the Montreal Canadiens and the New York Yankees—it is not enough to just make the team. The only measure of success is in reaching the ultimate goal. Every year without a Minto or Mann Cup won by Peterborough is considered a disappointing year by our lacrosse community. It is the winning tradition as it is carried and told by those who have experienced it that sets the tone for every season. 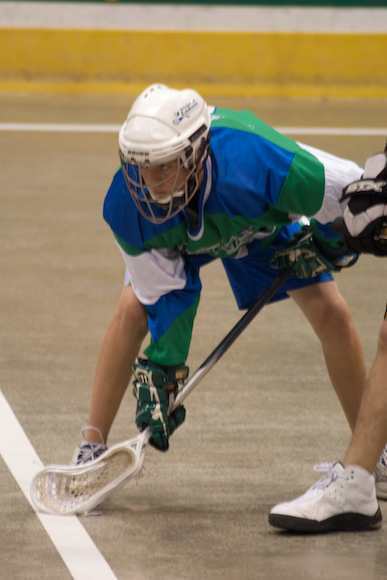 As is so often the case in Canadian culture, where success is seen as less important than participation, lacrosse in Peterborough has never received the degree of respect that matches its success. Thankfully, the real success for those involved is more intimate than public. It comes in self-gratification in being the very best at what you are passionate about, and the ability to share that success with those who understand it best. The Juniors’ have begun the playoffs with a better team than they have had in a few years, and the Seniors’ seem destined to defend the Mann Cup in the West this September. With these teams, new chapters in the history of Peterborough lacrosse will be written, and no one will be more proud of them should they bring the Cups home than those who most cherish our winning tradition. *Tom Phillips, a Peterborough native, was a trainer with the 1972 and 1973 Minto Cup teams (that was inducted into the Canadian Lacrosse Hall of Fame in 2010), and involved with several other championship teams. He is currently a member of the Board of the Peterborough Merit Precision Junior ‘A’ Lakers.